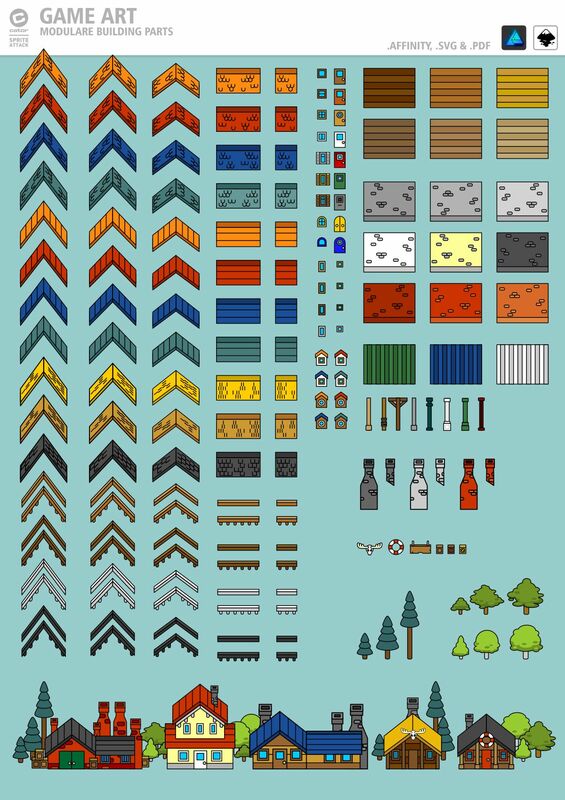 The are the assets from a 2dgameartguru.com tutorial about creating 2D game asset buildings in a quick and easy modular way. 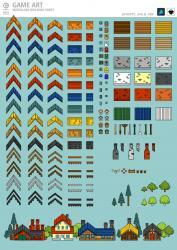 The archive includes the inkscape, affinity designer and coreldraw file as well as a vector pdf and a png version of all elements (176 pieces). Enjoy! Thanks a lot for sharing! !